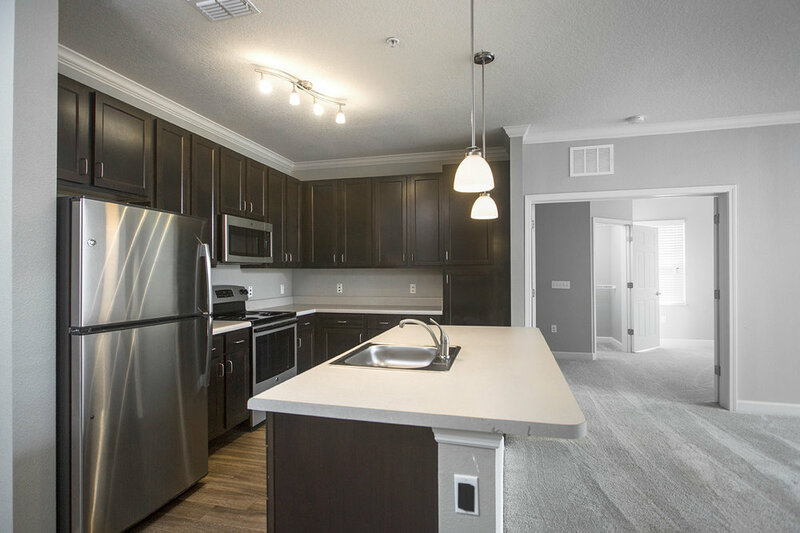 The charm of Southern Living meets modern convenience at Charleston Edge Apartments in Brandon, FL. Our boutique community of only 72 units provides residents with luxury new construction in a private setting. Just 15-minutes from downtown Tampa and conveniently next to the Westfield Shopping Mall, Charleston Edge is surrounded by all the best shopping, restaurants, and local entertainment. Brand new 1, & 2 Bedroom units with stainless steel designer appliances, walk-in closets, washer / dryer, and storage space included in all units. The luxury you deserve. Let us pamper you with a sparkling pool, spa/hot tub, fitness room, complimentary Wi-Fi, and so much more! The right fit, the right choice, the right place for you to call home.